A strong majority (78 percent) of cruise industry professionals believe that toilet clogs on cruise ships can lead to negative customer reviews, according to a new poll conducted by Sofidel, a global provider of paper for hygienic and domestic use. 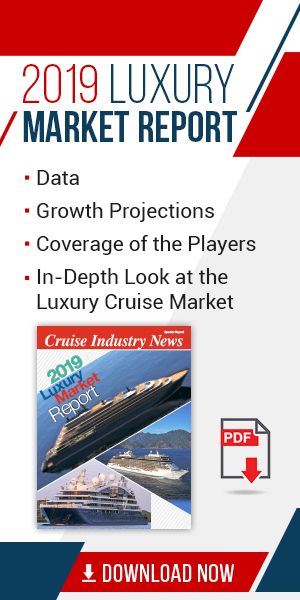 Sofidel announced it had surveyed 100 cruise industry leaders and nearly three-fourths of respondents (73 percent) said they would be willing to invest in restroom paper products that are proven to reduce the risk of clogs. “Cruises are meant to be an enjoyable escape for travelers, but a clogged toilet can quickly ruin a guest’s experience,” said Fabio Vitali, Vice President AFH Marketing & Sales for Sofidel America. “To maintain a five-star reputation, cruise lines need to invest in products that help prevent toilet clogs and the flooding, restroom closures and foul odors that come with them," said Vitali. In addition to social media backlash, survey respondents believe that expensive maintenance costs (53 percent), negative publicity for a cruise brand (52 percent) and loss of business (40 percent) can result from toilet clogs, the company said. The survey also revealed potential reasons behind the cause of toilet clogs: More than half (54 percent) of respondents agree that guests use too much toilet paper; Nearly two-thirds (64 percent) say that clogs occur when guests try to flush things other than waste; One in four respondents believe that a buildup of dirt in pipes leads to clogs; Almost one-third (31 percent) note that plumbing systems are outdated and need replacing in order to reduce the occurrence of clogs. To limit the occurrence of toilet clogs, Sofidel said it offers Bio Tech toilet paper, which uses Biologic Active Tissue Paper (BATP) technology to produce enzymes. These enzymes target buildup in pipes to reduce the opportunity for clogs as quickly as after one month of use, the company said.